RealNetworks has kicked off Mobile World Congress 2014 by announcing that its Real Player Cloud service is now available to users around the world. 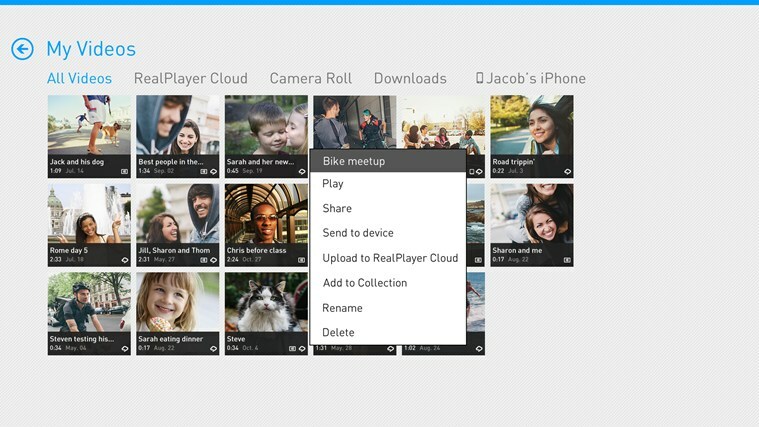 In essence, it’s a cloud storage locker optimized for video playback with one of its main selling points being that it supports a wide range of platforms including iPhone, iPad, Android, Windows 8, Windows 7, Kindle Fire, Roku and Chromecast. The company has made a couple more tweaks too, like adding the ability for Android and iOS users to share videos via SMS (as well as email) and a new ‘refer a friend’ bonus that nets both users an extra free 1GB of storage space. The cloud video storage service has been available in the US and Canada before now, but only for the last five months, and opening it up to the rest of the world obviously increases the chances of people actually using the service. Nonetheless, if you have a huge amount of video content you’d want to store, the pricing might put you off a little – it costs $4.99 per month for 25GB of space, $9.99 per month for 100GB and $29.99 for 300GB. If you do like the sound of it, paying annually instead of monthly reduces the cost by around 17 percent for each tier. Visit our MWC 2014 page for more coverage.